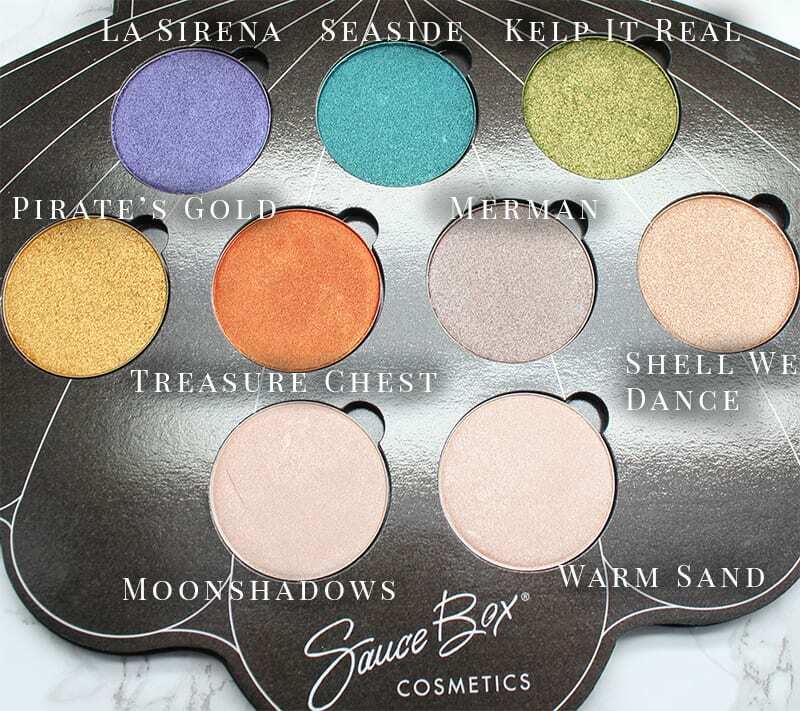 Today I’m sharing the Saucebox Mermaid Life palette with you. 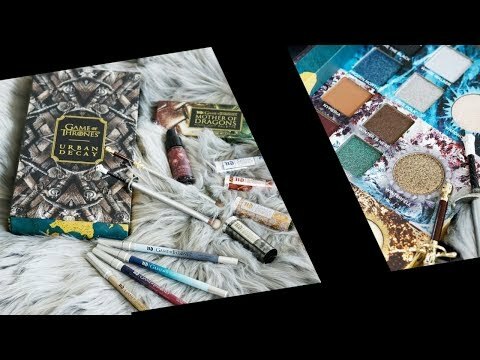 Originally I had purchased the palette but then Saucebox sent it to me to review. It’s 100% vegan and cruelty-free. 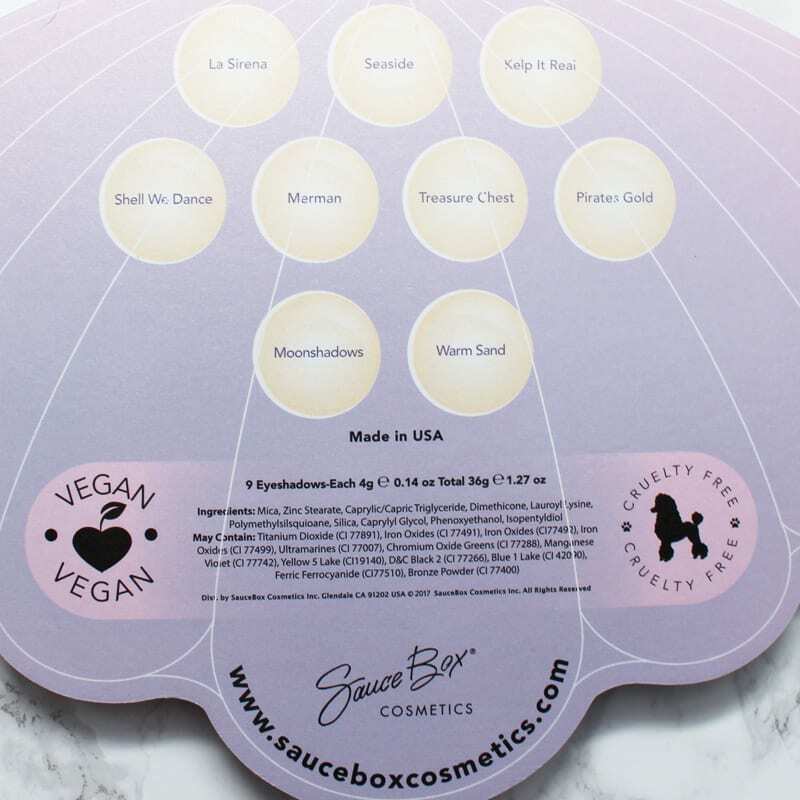 As you may already know, Saucebox is proudly made in the USA. They use recycled materials for their packaging to reduce ocean pollution, making them eco-friendly. The ingredients are high quality. They are a sweatshop-free company. 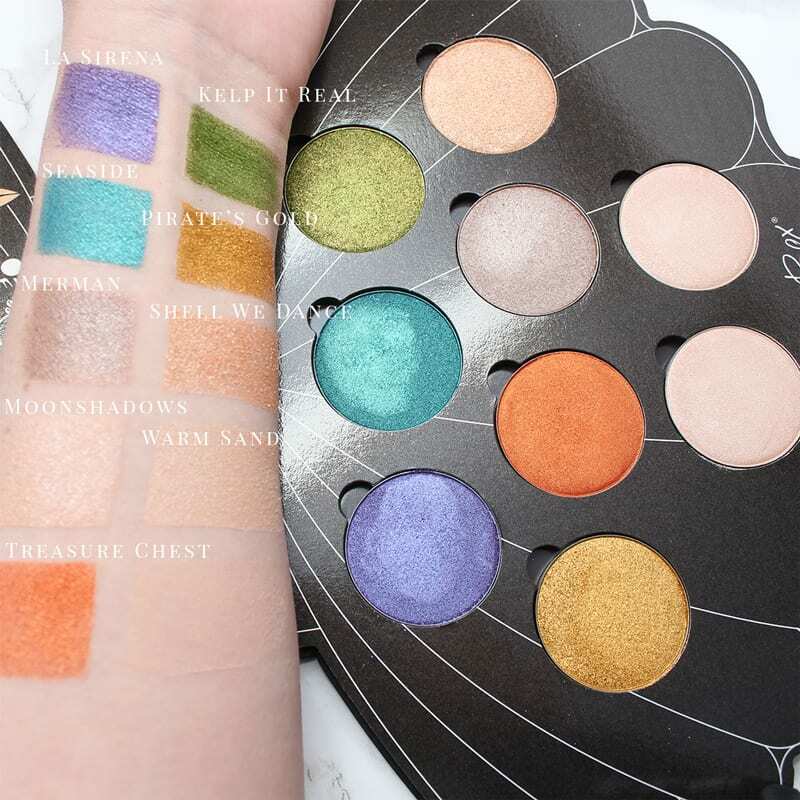 Saucebox Mermaid Life palette features 9 full-size eyeshadows that are .14 oz each. That makes the cost of each eyeshadow $8.33. I love the details on the packaging. The Saucebox girl is turned into a mermaid surrounded by a seahorse, starfish, and other sea life. I love the soft purple color chosen for the packaging. It gives this palette a fantasy feel. 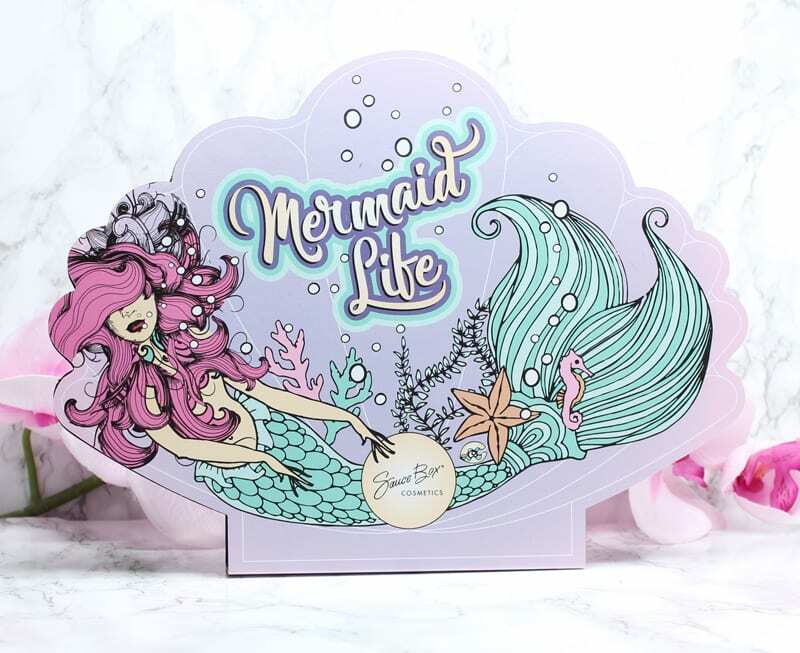 There has clearly been a lot of thought and care put into the design of the Mermaid Life palette. Of course, the back of the packaging is pretty awesome because it tells you the names of the colors. The ingredients are easy to read. I love that the cruelty-free symbol has a poodle. It’s Phaedra approved! The big Vegan stamp is a nice touch too. I wanted to include some other Saucebox palettes for reference. 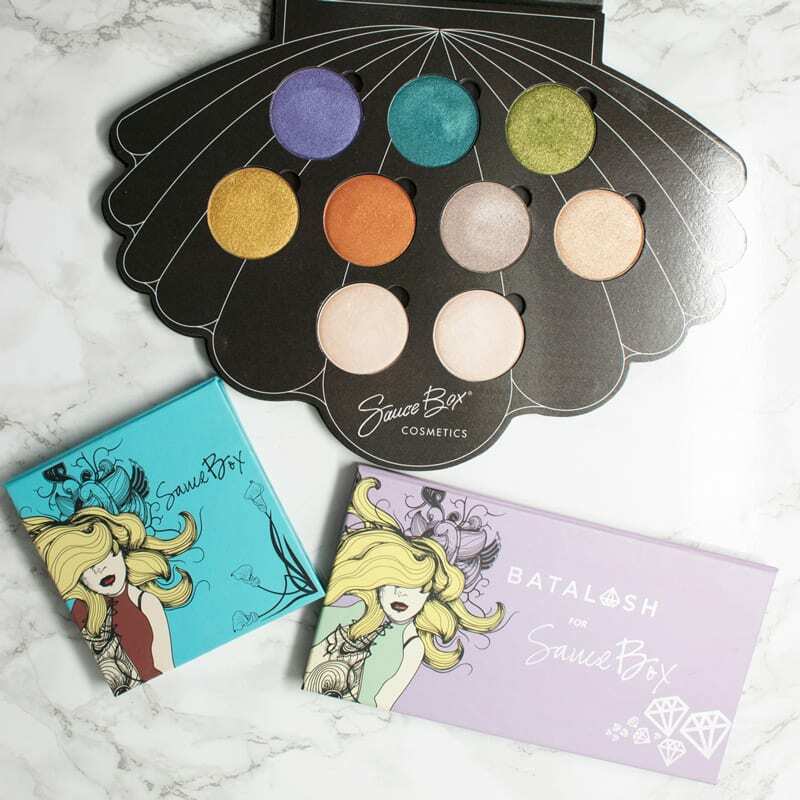 Make sure you check out my Batalash palette and Art Nouveau palette features. 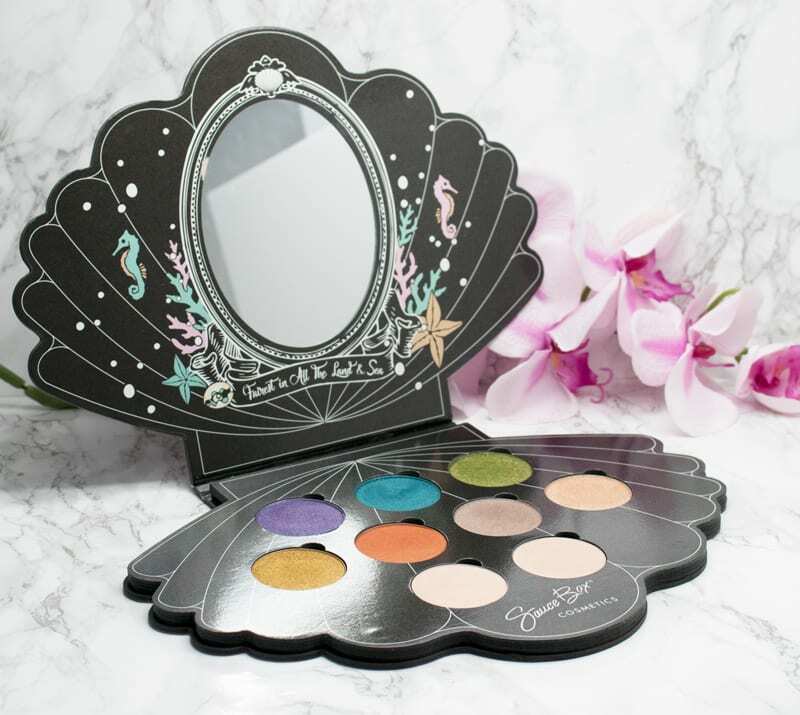 I love that the palette has a big mirror inside it. Mermaid Life says, Fairest in all the Land and Sea. I think the Mermaid Life palette is so pretty! 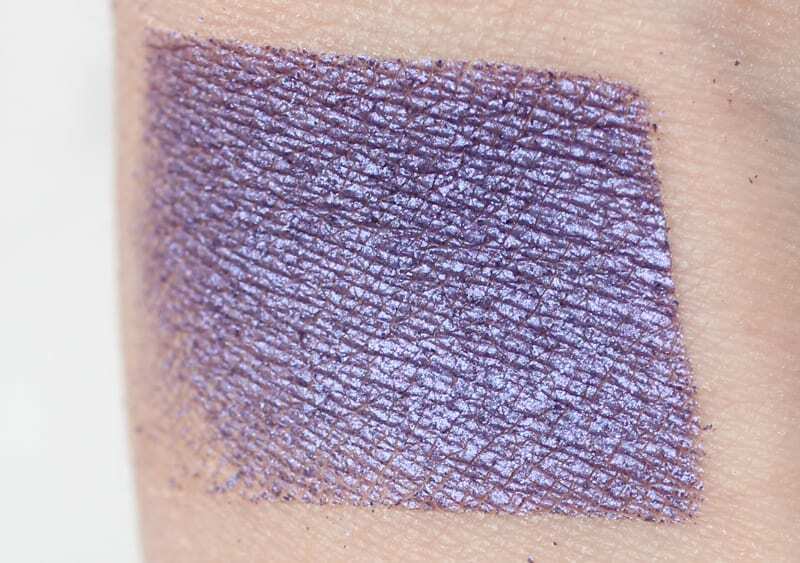 La Sirena is a blue-toned purple with a foil finish. 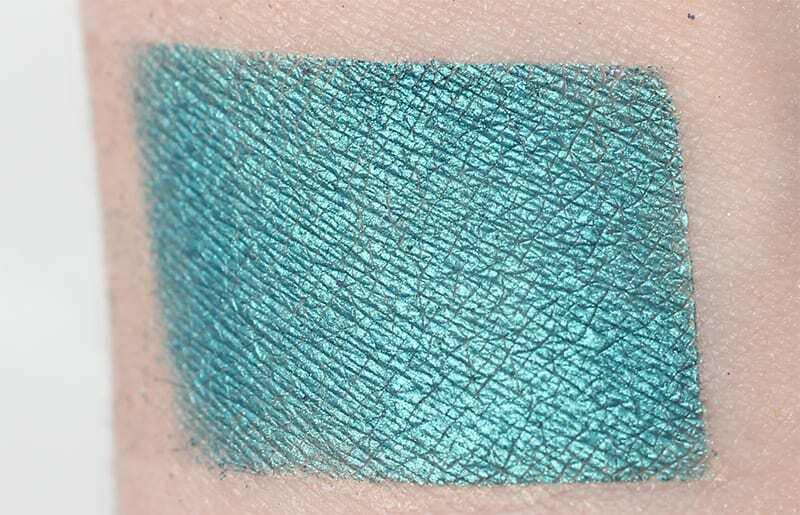 Seaside is a bright turquoise blue foil finish. It’s such a rich color. 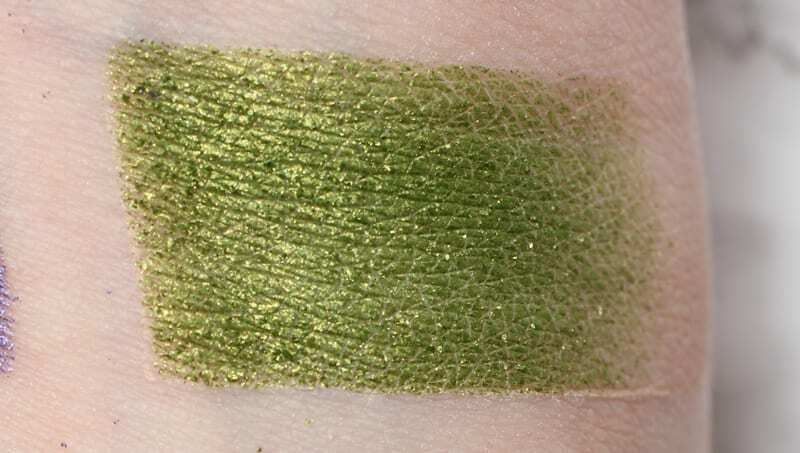 Kelp It Real is a warm, yellow-toned green foil finish. This feels like a duochrome to me. Merman is a soft brown with lavender silver shift. I think this one’s a bit of a duochrome. 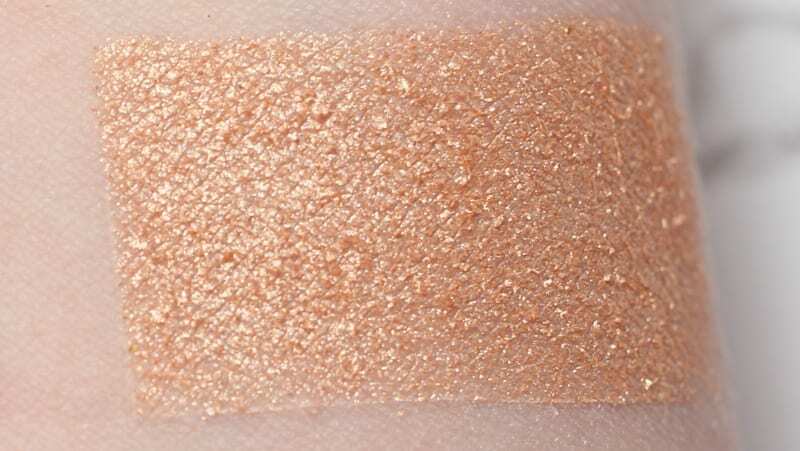 Shell We Dance is a peach champagne shimmer. 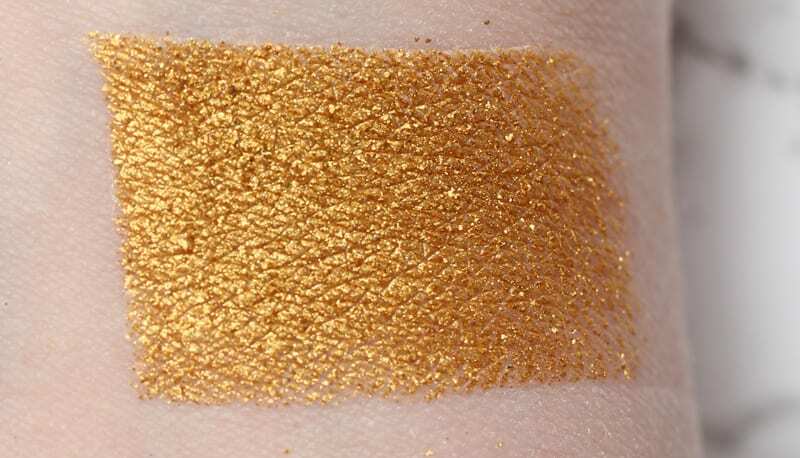 Pirate’s Gold is a gorgeous orange-toned gold. It’s very complex and shimmery. 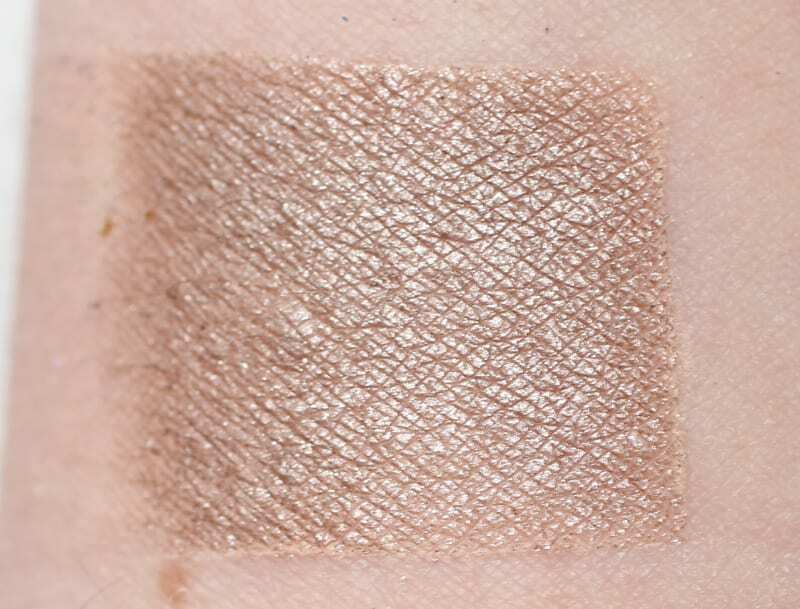 Pirate’s Gold appears as a duochrome when swatched. 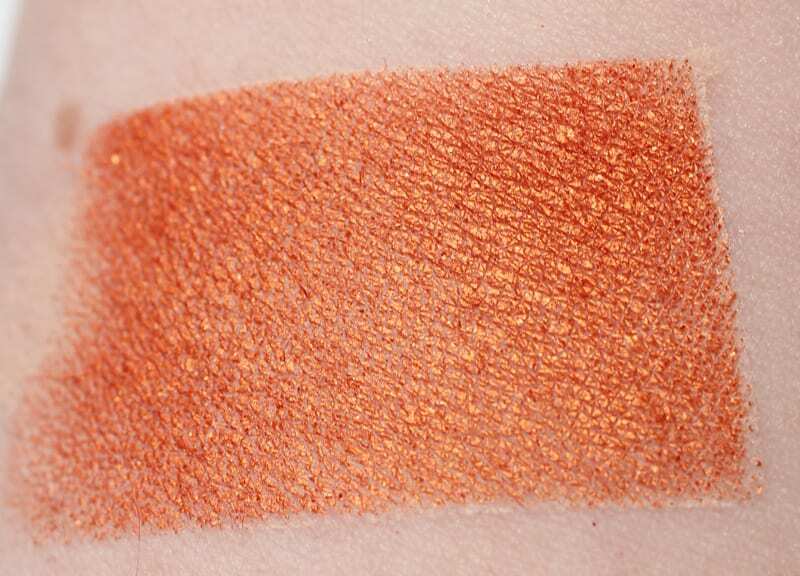 Treasure Chest is a pumpkin orange shimmer with rusty hues. This reads as a duochrome to me. 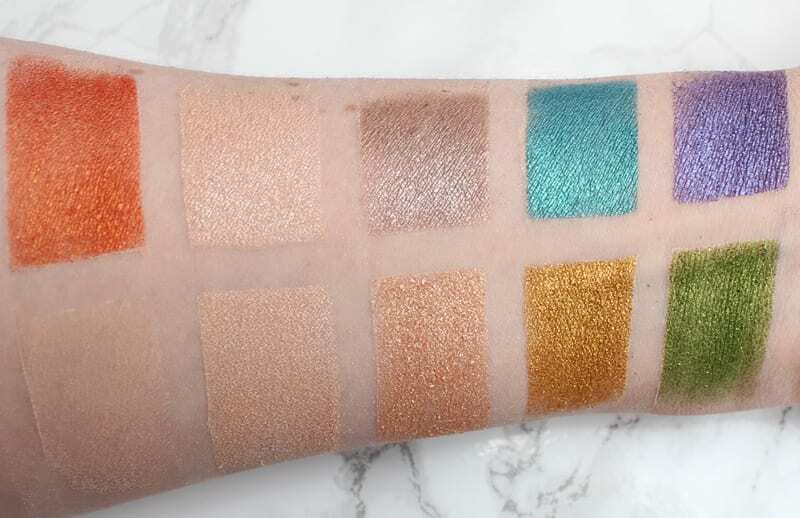 I’ve been dying to get my hands on the Saucebox Mermaid Life palette for months! I was so thrilled when it finally got here. Of course, I just had my lashes refilled, so can’t wear eyeshadow for 48 hours. 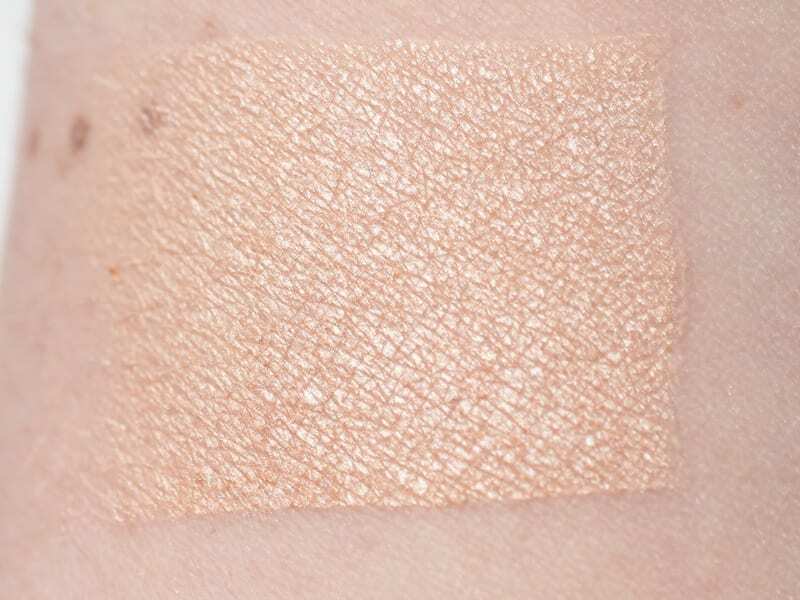 However, that didn’t stop me from wanting to share swatches with you! 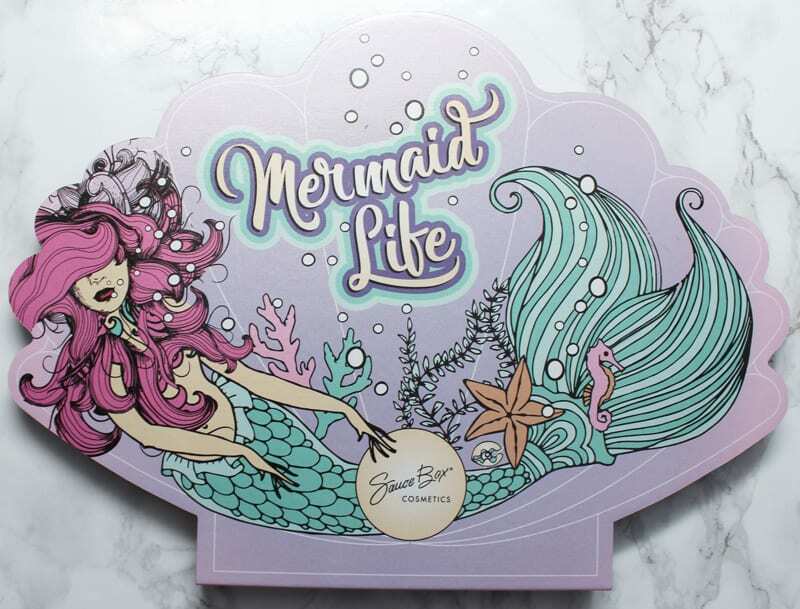 What do you think of the Saucebox Mermaid Life palette? My next eyeshadow tutorial will be with this palette! Oh this is totally triggering my “Tori Amos Song Shade Name” alert! (‘Merman’) ? This is a great palette. I love the packaging as well as the colors. Those definitely say summer to me. Very pretty summer shades and a versatile range of colours. I felt that Moonshadow and Warm Sand were pretty similar to each other and a lovely lilac grey could have been included instead. Thank you for the review Phyrra. Oh my stars! That is such a stunning palette! 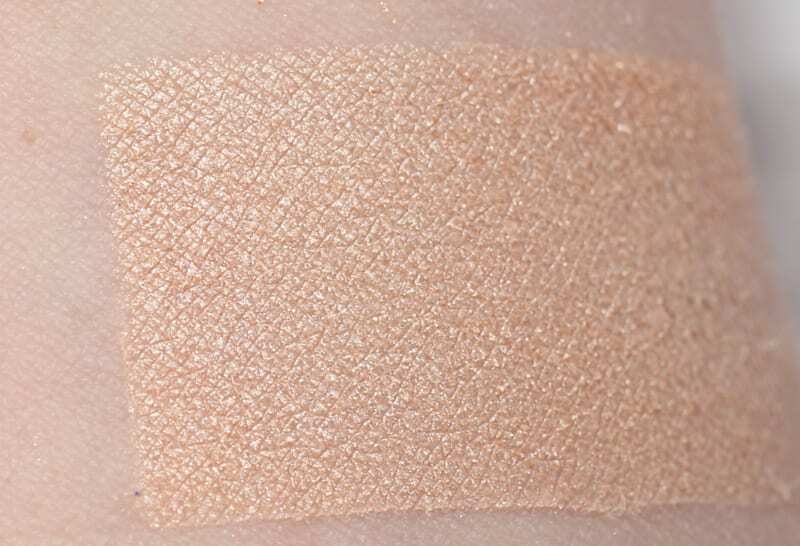 Thanks for swatching! Omg!! Gorgeousness! Please do an experiment w the top 3 with the Alchemist palette over top?